Excursions to the Archipelago of Maddelana. 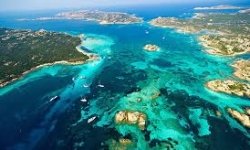 Its strategic location, very close to the sea and a short distance from the Gallura regions main towns (Santa Teresa di Gallura, Palau), makes it the ideal base for excursions into the natural world and guided tours of the islands of the archipelago of La Maddalena. Our staff will be delighted to give you all the information you may require and to organise your itineraries as you set off in search of the marvels of this wonderful part of Sardinia.